Time for those 2014 Book Reading Challenges to begin. We all have a love hate relationship with them. Or at least I do. 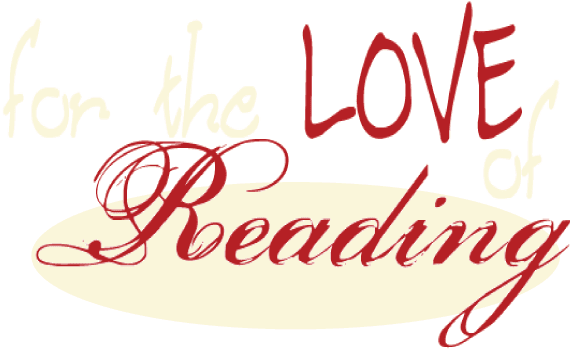 We at For The Love of Reading will be hosting our own Challenge. We are calling it Cover Love Challenge. It will proceed for the entire year and will consist of reading covers all with a certain color on the cover. Below are the specific rules, but the gist of it is to read one book a month (or really however many you can in a year) with a cover that has a cover from our list. Then, link up your review HERE for all to see. At the end of the year we will be doing a prize for one lucky winner (randomly generated). If you'd like to sign up for this challenge, you can by filling out this FORM and we will add your link into the list. Participant must sign up using the FORM and then post review in the review link up. Get pumped and have fun! *NOTE: We have the right at any time to change the rules and/or regulations regarding this challenge and will notify of any changes through blog posting. Further instructions may be added in the future for participants to help them with the challenge. Everyone who will be participating, please don't forget to fill out the sign in FORM below so we can add you to our spreadsheet. Also, remember, you can read any of the colors below during any month you want (even though we have them designated - that's just for fun). So, if you feel like reading a purple covered book in July, READ IT, and POST your review! Again, here is the FORM to fill out for sign up.